City & Guilds Level 3 Award in Initial Verification 2391-50 Course at The Builder Training Centre is a qualification that has been re-introduced and replaces the City & Guilds 2394 qualification. City & Guild’s 2391-50 Course at The Builder Training Centre is designed for anyone who is required to conduct Initial Verification of electrical Installations. You will need to have previous experience and fundamental knowledge of inspecting and testing of single and ideally 3 phase electrical installations. You will need to have obtained previous electrical qualifications, able to work with minimal supervision, work safely, able to identify faults and ensure all your work meets the required standards. This course will enable you to update your knowledge of techniques and legislation and gain the relevant qualification to reflect your abilities. This qualification is particularly relevant to those wishing to verify new installations and perhaps not required to carry out periodic inspection and testing, such as Domestic Installers. This qualification is the equivalent of the EAL 4337 qualification. It is JIB recognised. Ideally candidates will have the City & Guilds 2392-10 qualification prior to attending this course. This qualification is similar to the City & Guilds 2392-10 qualification, except that the 2391-50 is a Level 3 qualification and includes 3 phase. The Builder Training Centre (The BTC) offers high quality structured 2391 Initial Verification Courses. These can be attended as a 5 day weekday course or, for those that have commitments during the week, over 2 consecutive weekends (1 being an extended weekend). Our instructors are qualified, highly experienced, knowledgeable and enthusiastic Tradespersons, so students can take full advantage of all the tips of the trade, personal experiences and practical advice they offer. This short course is intensive, but no compromise is made on the course content. The atmosphere is relaxed and enjoyable which creates a good learning environment. 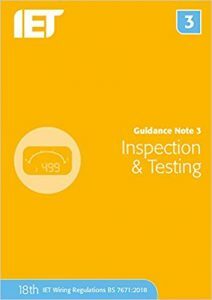 This City & Guilds 2391-50 electrical course is ideal for people with fundamental experience of initial inspection of electrical installations. If you already work as an Electrician, but have had limited exposure to inspection and testing since qualifying, you require to update before moving onto other qualifications, or you are looking to verify installations as a domestic installer, then this may be the course for you. 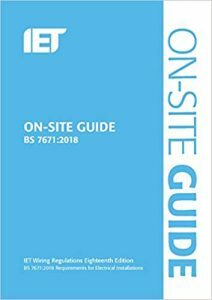 Designed to enable students to understand principles, practices and legislation for initial verification of electrical installations with statutory and non-statutory regulations and requirements. The course provides the knowledge needed by the student to underpin the application of skills for inspection, testing, commissioning and certification of electrical installations. 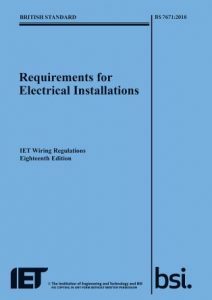 Requirements for initial verification of electrical installations. Full payment or a deposit of £200 is required to book a City & Guilds 2391-50 Electrical Qualification Course. Any remaining balance can then be paid at any time before the start of the course. A fundamental knowledge and understanding of electrical science and principles and experience of electrical installation work either from within the electrical contracting industry or an allied trade. Ideally students should have achieved the City & Guilds 2382 qualification and the City & Guilds 2392-10 qualification or equivalent. Which qualifications do they replace? City & Guilds 2394 Initial Verification. We have facilities for men and women! You will find our prices are competitive, and include the use of tools and materials for your 2391-50 Course whilst you are here, but for health and safety reasons you are required to have steel toe capped footwear to wear throughout the course. These can be purchased from our reception on your first morning for £20 if required. Students may bring in their own test instruments, however, assurance from students that their instruments are accurate will be required in advance of the course. We are confident that you will like what you see and will want to undertake electrical training and learn electrics with The Builder Training Centre.